In order to effectively equip your missional community in Gospel Fluency, you need to create a culture where it is normal to speak the Gospel to one another regularly. Every sin and issue that stands in the way of our faithfulness to Jesus’ commands is ultimately a Gospel issue, since sin is the outcome of unbelief on Jesus (John 16:9). One of your key jobs will be to equip your people to know the Gospel, APPLY it to all of life and to speak it to each other. 1. Do you know the Gospel? 2. Can you articulate the Gospel? 3. 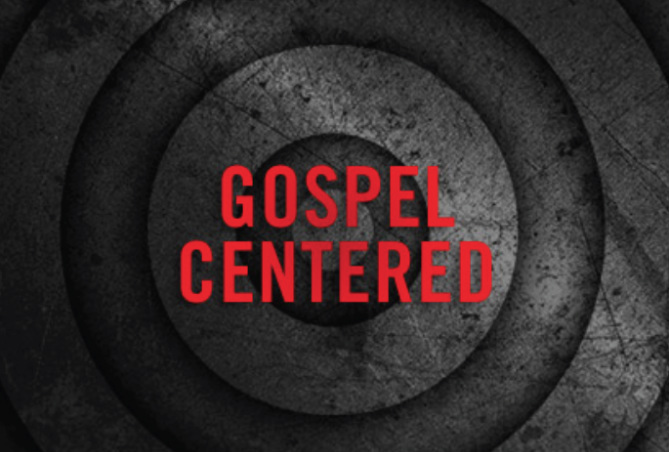 Can you address everyday issues with the Gospel? 4. If you know it and can articulate it are you experiencing ongoing repentance and growing in faith? This will look like “taking every thought captive to make it obedient to Christ”. It means you are regularly checking your motives, beliefs, attitudes, and actions to see if they reflect faith in Jesu or faith in someone else. This includes inviting others to have freedom to speak openly into your life as well. Then, when it is apparent that your faith is in something other than Jesus and what he accomplished for you through his life, death, and resurrection, you need to be reminded how the Gospel shows Jesus to be the the sufficient one for you in that issue, repent of unbelief and put your faith for that thing in Jesus and his sufficiency. The more you are actively applying the Gospel to all of life, the more normal it will become to both speak of it and to equip others in it. You will need to lead in Gospel engagement in a variety of ways in order to make Gospel conversations normative for your life together and your mission to make disciples of others. There are several ways you can make Gospel conversations more normative, but here are a few suggestions below. Ask your group to regularly restate the elements of the Gospel out loud together to see how well they’re getting it. You may have to lay it out for them a couple of times until they begin to remember it. • He is the perfect man who lived the perfect life fully submitted to God the Father in all things. • He is the God-Man who is God in the flesh so that we could know what God is like and God would be near us. • He is the Messiah that is sent by God to save us from our sin, death, and destruction. • On the cross he exchanged his perfect obedience (his Righteousness) for our sin so that those who have faith in Jesus get Jesus’ righteousness credited to their account and their sin credited to his account. • When he died on the cross not only where our sins removed but they were paid for (atoned for). sin is death so Jesus’ resurrection shows the debt is paid in full). to bring faith and new life to us, empowering us to live lives of obedience. • Repent - Have a change of mind about who God is (Changing worship). • Believe - By faith put our trust in who Jesus is and what he has done, believing it was accomplished for us. • Be Baptized - Publicly express our faith that our lives are now united and identified with God in Christ. • We are forgiven and cleansed of our sins. • We are included in the forever Family of God. • We are commissioned to make disciples of Jesus. them and rightly informed their story as well as where the Gospel needs to be spoken into their story. them how they perceived the Father in heaven and how knowing the truth about him sending his son to save us shapes how they see part of their story. with unbelievers. At the same time, the unbelievers are exposed to the Gospel and will learn to share it themselves once they come to faith. and then point out that Jesus is the bread of life who satisfies. Then go on to show that if God would give us his very best to meet our deep spiritual hunger, why wouldn’t he also give us everything that we need. The more Biblical Stories we know, the more versatile we become in engaging in conversations. the Gospel in light of their need and how the Gospel satisfies their need. For example, someone might say: I identify with the bread this weak because I am realizing that I have been trusting in my own works to make me righteous before God instead of trusting in the righteous life of Jesus lived out in my behalf in human flesh. Or, someone might say, I am so grateful for the cup this week because I have been overcome with the reality of my sins this week and I need to be reminded the Christ’s blood was poured out for me for the forgiveness of my sins. This gives everyone one a chance to not only be aware of the Gospel in their lives but to preach the Gospel concerning their own situation. Another great example is to break into triads or pairs and each person hold the element in their hands (bread and wine). One person in confidence proclaims to the others an area in their life they are not believing in Jesus correctly or an area they struggle. The other two listen to what he has identified then choose an element and speak the Gospel to that area of his life handing that person the element. Then the other does the same with the other element. So if one person says I have struggled with anxiety all week. The other person would hand him the cup of wine and say, “This cup represents Jesus blood who died for you. Because he did this you can know that he will never leave you forsake you and you can know that he has tomorrow sown up because he has given you His Spirit who is called the comforter as sign that you are his child and that eternity is in you.” The other person then would hand him the bread and say, “Because of his broken body we know that God absorbed all of our sin on the cross. He loved you so much that his brokenness became a means for us to be whole. The Bible states that perfect love casts our fear. Jesus showed you the greatest love of all by giving his life for you so that you will not have to live in fear about today or tomorrow. you can know by what he has done that he loves you and you re his child.” As you do communion together the gospel has a chance to be proclaimed as we celebrate the power of what Jesus did over our lives. It is another way in which we can speak the gospel over one another and encourage each other in Christ. Then as a group becomes aware of the people or things that have become idols or little gods, take time to compare them to Jesus, showing Jesus to be better; the resolution to what they are seeking elsewhere; the opposite of what they are experiencing; or deeper reality of what they are searching for. What are some idols in the group? How can you show that Jesus is the “better". Suggested Assignment: Pick 3 of these 6 suggestions to try. Do written work connected to them and plan to use them in the next two months. Turn your written work into your mentor.